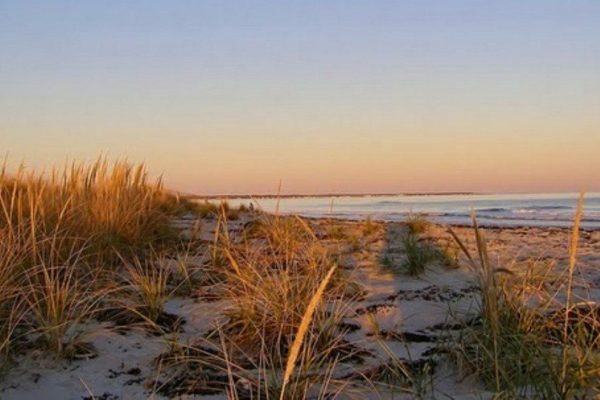 Wells, Maine, is famous for its beaches. It’s a key driver of tourism for the area and one of the most common reasons visitors stay with us at Village By The Sea. So we know a thing or two about which beach spot is the best. Bring extra towels and perhaps a cover-up if you plan to be at the beach for a long time. Don’t forget to bring plenty of water. It’s very easy to get dehydrated when you’re out in the sun all day. 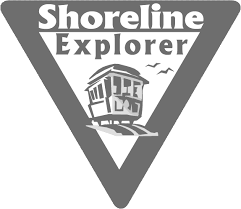 Instead of driving to the beach, we recommend taking the Shoreline trolley. It’s convenient (you can pick it up at the end of our driveway), it’s inexpensive ($1.00/person; children under 12 ride free), and while it still has to drive through the traffic, you can sit back and relax. In case you want to drive, the parking fees are: $120.00 per week; $20.00 per day; $12.00 12:00-5:00pm. There are meters at Mile Road. 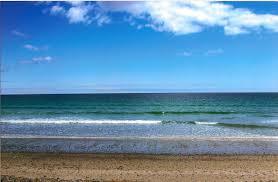 This is a wonderful seven-mile long sandy beach with areas for surfing. If you park at the end of Mile Road, ignore the rocks and set off either north or south to the sandy sections. There are parking meters at Mile Road and limited free parking is available. Parking stickers are available at Town Hall for the eastern shore parking lot at the end of Atlantic Avenue. This spot is about a half-mile south of Wells Beach on Ocean Avenue. It has a few more rocks than the rest of the beaches around Wells, but it’s known for its quieter family friendly atmosphere. Parking is available at the Gold Ribbon Avenue lot off Webhannet Drive. This long, sandy beach is usually not as busy as the main section of Wells Beach. However, there is only limited parking at the lot on the eastern end of Drakes Island Road. There are restroom facilities and a lifeguard-patrolled area. This is a great spot for walking, or to watch the dramatic rise and fall of the tide at the end of Ocean Ave in Wells. 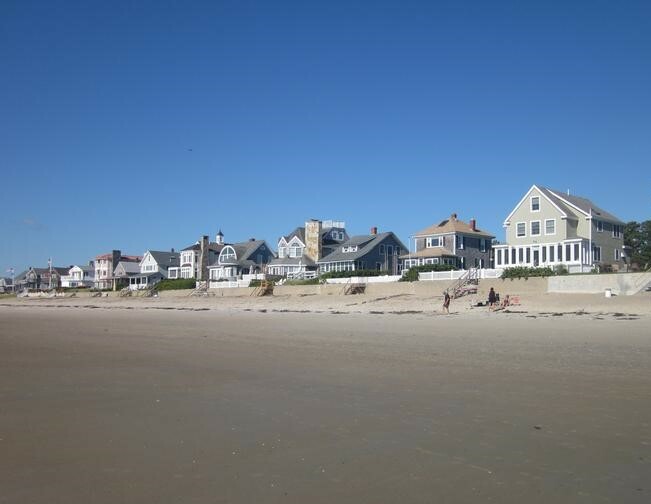 You can walk for miles on Moody Beach, which eventually becomes North Beach, then Footbridge Beach and finally, Ogunquit Beach. Paid public parking is available at the very end of Ocean Avenue, with restroom facilities. This beach is located at the end of Harbor Road. There’s not much sand at high tide, but it’s a wonderful beach for children at mid-and low-tide, when there are lots of sand bars and tidal pools with crabs. It is less crowded than Wells Beach, and has restroom facilities, a playground, picnic tables and free parking. For more information about these and other beaches near Wells, download our concierge guide. If this information has sparked your interest and you’d like more information or you want to book a unit at Village By The Sea, please call one of our reservations agents at 1-800-444-8862 or make a reservation right here on our website.